You may remember our piece on the top free browser-based music apps a while back, yet one thing that was absent was a browser-based DAW, but we think we may have found an excellent candidate with Amped Studio 2.0. Currently available to run in Chrome, Vivaldi and Opera, Amped Studio offers an impressive list of features for a free browser-based DAW. For starters, you can record and play audio and MIDI on the same track at the same time, and add as many virtual instruments and effects as you like. These external virtual instruments are produced using the all-new WAM (Web Audio Module) technology, an open source platform that should see more developers releasing new instruments in the coming months. Currently available are the free DEXED and OBXD synths, which free software freeware stalwarts will immediately recognise, as well as the Prophet VS-modeled Augur [$19.95], and they can be found at Wam.fm. One of the more exciting additions in 2.0 is pitch and beat detection software HumBeatz, which allows users to hum or beatbox into the DAW, which automatically creates MIDI notes and beats. Simply choose your virtual instrument and you can sing and compose with your voice. 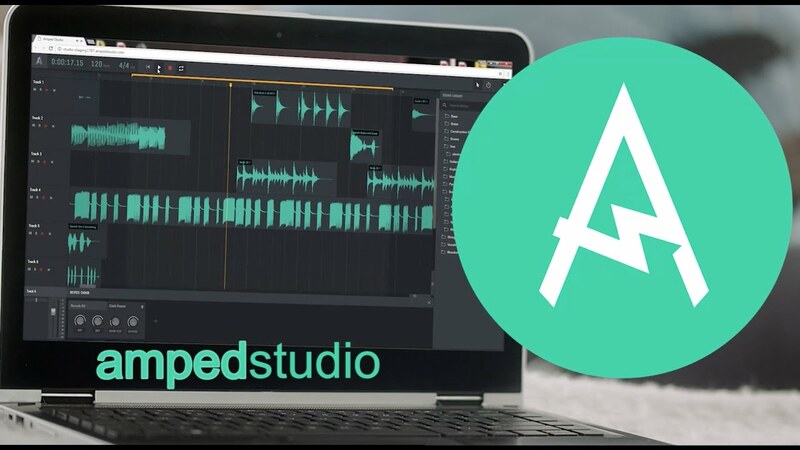 It should be noted that the free version of Amped Studio only allows you to export audio, and not the ability to save imported or recorded audio (premium only). Amped Studio 2.0 is available as a free subscription, as well as a $4.99/mo premium subscription which unlocks all the features.